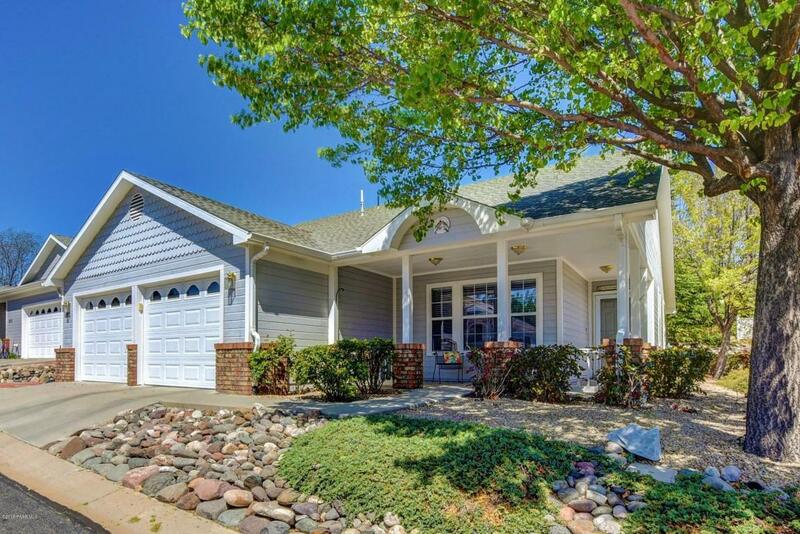 Absolutely charming home in one of the Prescott area's most desired 55+ communities:Victorian Estates. This lovely cottage features a lg. covered front porch reminiscent of an earlier time. Enter to an open floor plan with high ceilings featuring a kitchen, dining and living concept fronted by a light, bright office/den or 3rd bedroom. Walk out to the covered back porch from the living room and enjoy the delightful Prescott weather. The home features 2 additional spacious bedrooms, a laundry rm w/utility sink, a full bath and a luxurious master bath w/walk-in closet. Easy care landscaping and single level living make this home a perfect retreat. Victorian Estates features friendly neighbors, a clubhouse, fitness center, pool and more! Close to shopping and dining too.